As the average age of workers in the turkey industry continues to rise, we must consider ways to attract and invest in the next generation. To help us gain a better understanding of how we can do this, we are excited to present a guest blog from Austyn Rask, a Research Associate at Bridgeworks. Bridgeworks is a consulting firm based in Minneapolis, MN, USA specializing in bridging the generational gap in the workforce. We connected with Bridgeworks in May 2017 when we asked them to speak at Turkey Vision Toronto. With Turkey Vision focused on the future of the turkey industry, their work surrounding how different generations can work together more efficiently and better understand each other was a great fit. As many experts in the industry begin to consider retirement, it is increasingly important to invest in people and attract the best and brightest for the future. When Millennials hear agriculture, this is what they’re thinking: inherited family farms, endless corn fields, milking cows, and perhaps a dinky metal windmill here and there. This image, while very picturesque, doesn’t do you any favors with attracting the young masses to work by your side. The agriculture industry has an image problem, but you probably already knew that. The average age of farmers has been consistently increasing since the ’80s,less than 9% of Millennials consider careers in agriculture, and more than 20,000 careers in food and agriculture will go unfilled each year. Because of this decline in young people’s involvement, it’s important to focus on attracting the Millennial generation. Their perception of agriculture is part of the problem. It’s up to you take control of your industry’s narrative; paint the picture and tell the true story of agriculture. Here are the realities that Millennials need help seeing. There’s been a huge push for STEM (science, technology, engineering, and mathematics) education over the past decade. Now those students are graduated and looking for related jobs. While the stereotypical rural, hard farm living does have its place in agriculture, so does STEM. Dedicated scientists work around the clock to research and improve turkey nutrition and management, reproductive physiology, and health & disease. Plant scientists transformed a tobacco plant into an Ebola vaccine. Engineers designed robotic milking systems for cows that improve efficiency and quality of life for the cow. And don’t forget the energy conservation side of livestock production. There are countless STEM opportunities in your field—advertise them, and use social media as your megaphone. Shining a spotlight on the STEM face of agriculture that’s omitted from the dominating stereotypes will show the innovative, science-minded Millennials that they have a place within your organization. Plus, you’ll be putting a great foot forward with the next generation, who’s already 21 years old. Every business has purpose, and every generation has wanted their work to be meaningful. The difference with Millennials is that they want it sooner. They want to be reminded of the difference they’re making on a more regular basis. You know that what you do is important, but are you really telling that story? What messages are you putting out on your website or on social media? 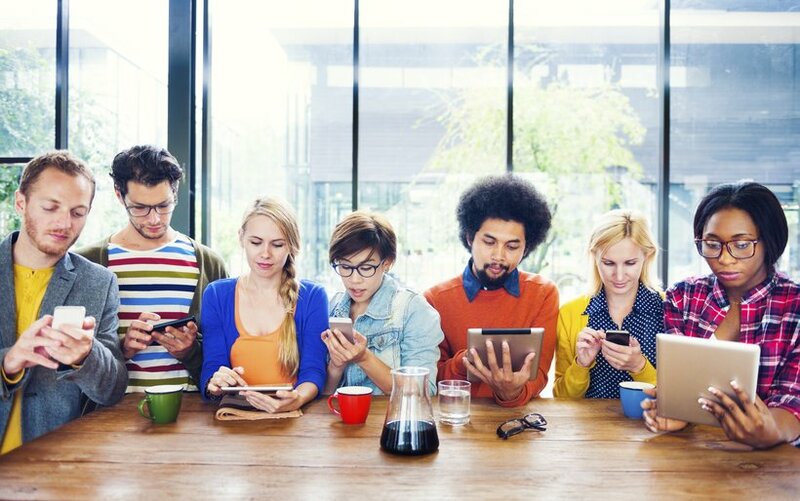 The companies that do a good job with attracting and retaining Millennials are connecting the dots for them and showing the purpose behind the work. Cargill declares they’re committed to helping people thrive and nourishing the world. The University of Minnesota aims to answer the world’s biggest questions in their fields, greenhouses, and laboratories. Highlight your organization’s mission and goals on your website, in your marketing materials, and in your interactions with prospective applicants. Unfortunately, by working in agriculture today, you’re climbing a PR battle. There are negative perceptions and even a lot of confusion around your industry. It’s up to you to take control of the narrative of your work. Your company culture and values factor into Millennials’ decisions on whether they want to work for you or not. Use this as an opportunity to brandish all the great things you’re doing. Show them your philanthropy and your innovations. Prove that your company values these positive impacts. Strive to provide information and educate, and align this openness with your brand. It’s easier for Millennials to invest in and engage with a company they feel aligns with their own values.